The easier your publication is to discover, the more likely it is to have impact. When choosing a journal, it is important to find out how easy it is for others to discover. Online journals are easier for other researchers to find. Is the journal available in print or online or both? We used Ulrichsweb previously in this module to find out if a journal was peer reviewed. You can also use Ulrichsweb to find which databases a journal is indexed in. It is ideal that the journal is indexed in well-known databases that you commonly use in your field, e.g. in Web of Science, Ebscohost, Proquest, Springerlink or Taylor and Francis? See the image below for an example of a journal entry in Ulrichsweb for the Journal of International Development. 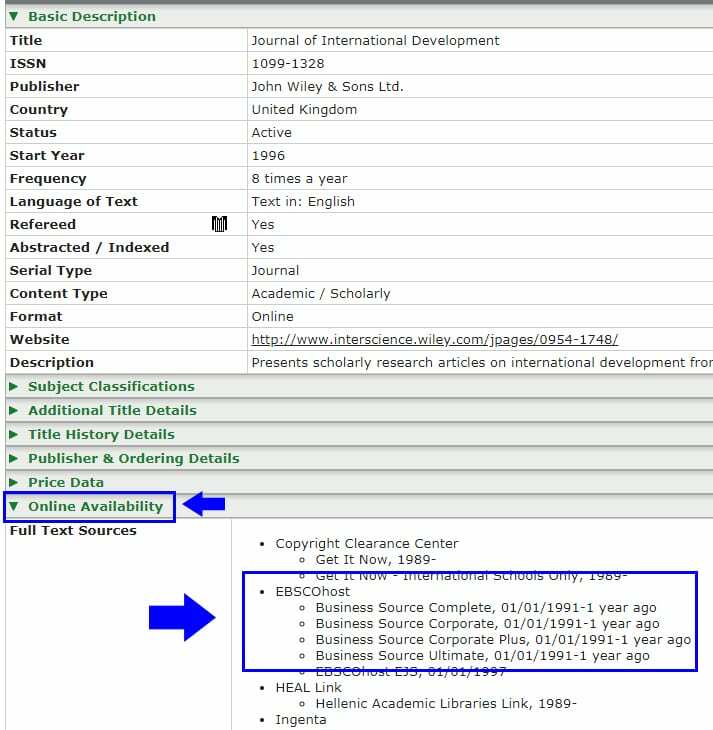 You can see that the journal is indexed in the well known database Ebscohost. 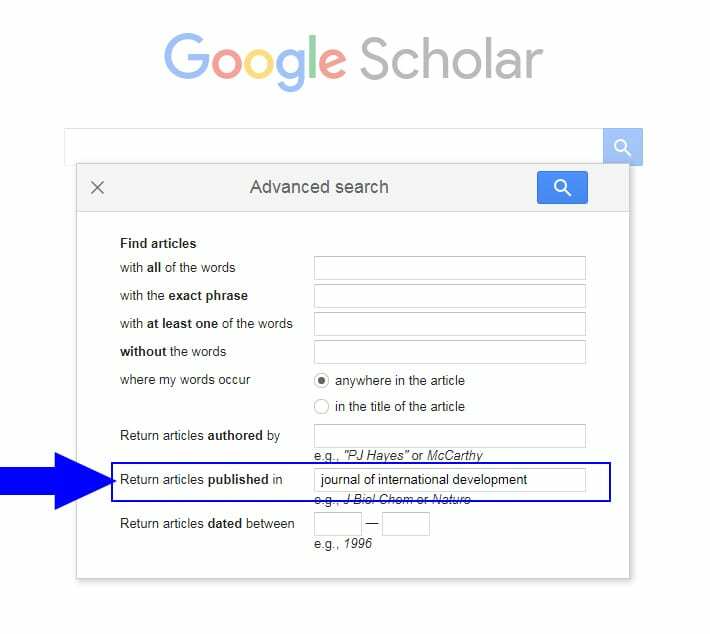 You can check if Google Scholar indexes a particular journal by doing a Google Scholar Advanced Search. Search the field ‘Return articles published in’. If your journal is indexed in Google Scholar and other well know databases this could make it a good choice for publishing in.